Nokia has just announced the launch of a new smartphone as an addition to its slew of smartphones released in 2018. This is coming weeks before the company’s October launch. This new device, which is called the Nokia 5.1 Plus, comes in in a single variant of 3GB RAM and 32GB internal storage which is expandable up to 400GB. This means that the device can take on rivals such as Oppo’s Realme 2, Xiaomi’s Redmi 6 Pro, and the Honor 9N. The Nokia 5.1 Plus comes with a massive 5.86-inch HD+ screen with a 2.5D curved glass. The phone has a resolution of 1520×720 at the front. Powered by an octa-core MediaTek Helio P60 chipset, it has four Cortex-A73 cores clocked at 1.8GHz and four Cortex A-53 cores clocked at 1.8GHz. On the camera front, the Nokia 5.1 Plus flaunts a dual camera setup on the rear with a 13MP lens and a 5MP lens, and has f/2.0 aperture. The camera setup comes with LED flash and PDAF. On the front, the phone boasts an 8MP shooter with f/2.2 aperture. 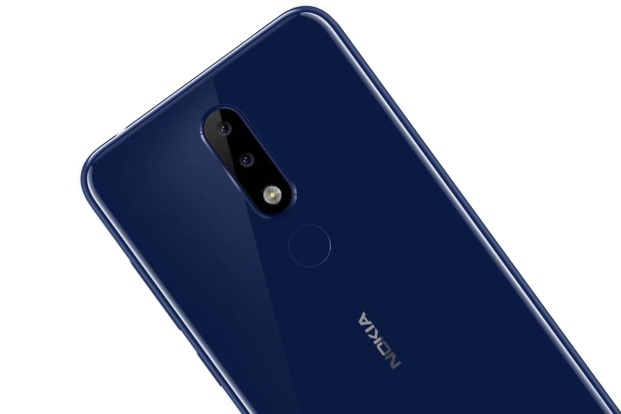 The connectivity options on the Nokia 5.1 Plus include 4G VoLTE, Wi-Fi 802.11ac, Bluetooth v4.2, GPS/ A-GPS and a USB Type-C (v2.0). It also has a 3.5mm headphone jack. The Nokia 5.1 Plus comes in just one variant – the 3GB RAM/32GB internal memory variant. This means that there is just one price. It is priced at Rs 10,999 (about 55,000 Naira). Pre-orders of the Nokia 5.1 start today, and it will be available for purchase from October 1. It is exclusively available through Flipkart and Nokia online store. Vincent is an Electrical Engineer by profession, and a blogger by interest. He has a special knack for Android phones. When he is not blogging, he spends his time reading novels, seeing movies, or playing games. Copyright © 2017 NaijaAndroidArena.com All rights reserved • Emperor, Inc.